And they are not kidding. This tool is not for whimps…when we first picked up this sturdy mill, we all said it could be used in the kitchen for weight lifting! But kidding aside, if you love pepper, this mill will change your life. 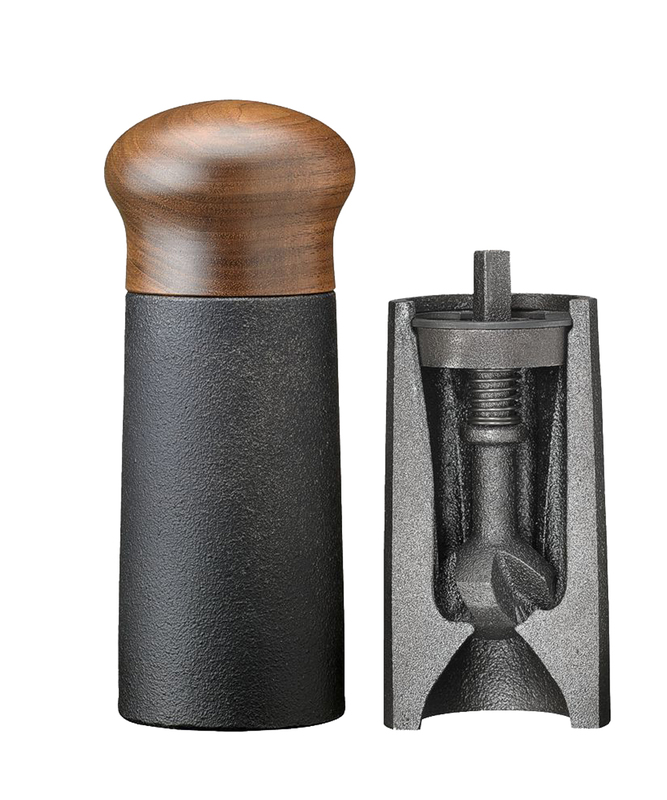 The grinding mechanism of this Swedish-made pepper mill is constructed entirely from cast iron and will last for generations. The designer conducted many trials before landing on just the right gauge to grind generous flakes of pepper for serious cooks. Skeppshult of Sweden began making hand-crafted, high quality cast iron housewares out of virgin iron ore in 1906. One hundred plus years later, they still hand-pour and hand-finish every product, a testament to the durability of the brand and to the tenacity of cast iron. The iron is cast without harmful chemicals and requires very little maintenance over its remarkably long lifespan. Each mill comes with a handsome Swedish walnut lid. It is like a work of art for your kitchen! A strong magnet keeps the lid securely attached, but a purposeful tug opens the mill so that you can fill and refill it with peppercorns such as our KATZ TELLICHERRY PEPPERCORNS. Do not place in dishwasher.